A 50% of Porgera Gold Mine Sold to a Chinese firm for $298million – Why couldn’t Enga Provincial Government (EPG) buy it when Enga Children's Fund (ECF) is over K800million worth in market capitalization? 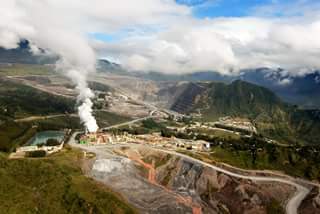 In the time of Michael Somare as PM, it is believed that the EPG in association with several key Porgera Landowners (PLO) deposited K50 million in an Australian bank as term deposit to secure loan for the full amount to buy off 50% of the equity from Barrick. The K50million is believed to be taken from Mineral Resources Enga (MRE) which manages the 2.5% EPG equity and 2.5% PLO equity in the Porgera Gold Mine (PGM). From the outset it sounded a great strategic move to increase stake in the PGM for the benefit of Enga people. During the reign of Somare, Sam Abal was the Deputy PM and Don Polye Treasurer, were the key figures in the kitchen cabinet. It was rumoured that these two Engan MPs intercepted the deal to buy the 50% shares in PGM and discovered so much rot where certain individuals were to immensely benefit from the deal at the expense of the Enga people. When the deal was put to the PNG government for approval, the Somare government did not approve it, consequently, the Australian Bank’s time ran out and the K50million was perceived to be forfeited to the bank. Whose money was the K50million lost to the Aussie bank lays a mystery! It was clear the Enga Governor’s leadership with his full assembly were fighting the national government under PM Somare to buy the Porgera equity, but was prevented. However, Barrick sold the 50% equity to a Chinese firm Zijin Mining Industries Ltd at the cost of $298million in May 2015. When ECF is purportedly worth more than $400million, it only makes one wonder why EPG let the 50% equity slip under its nose. - Why K50million disappeared into thin air and whose money is it? - Why couldn't EPG buy the whole 50% equity or even partly when it was sold last year 2015?